These are delicious and can be put together quickly on busy mornings before work or school in about the same amount of time it takes to cook the egg. 1. In a small bowl mix together Cream Cheese and chopped Capers. Toast English Muffins and spread evenly with CC mixture. 2. 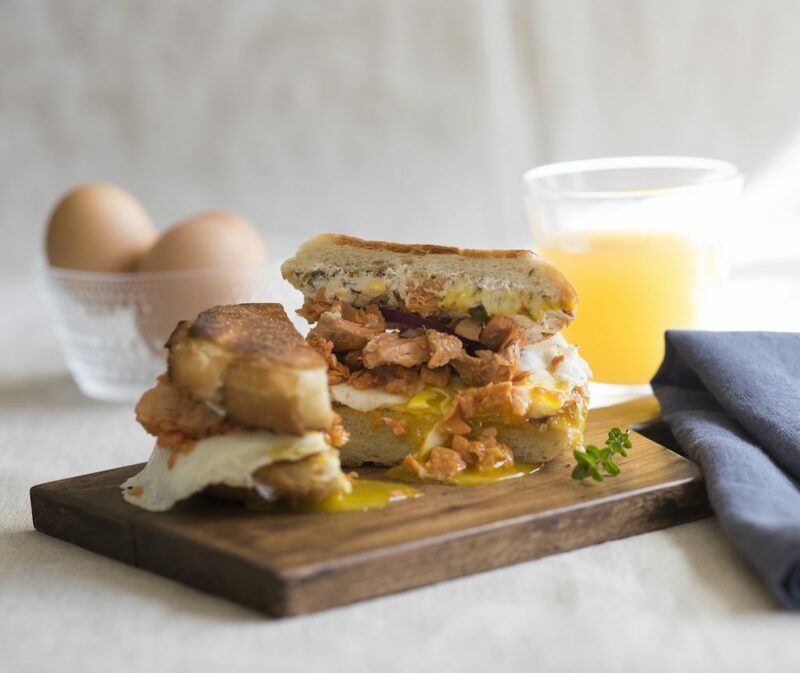 Divide flaked Salmon between pairs of English Muffins and top with an egg cooked to your preference and slices of red onion.